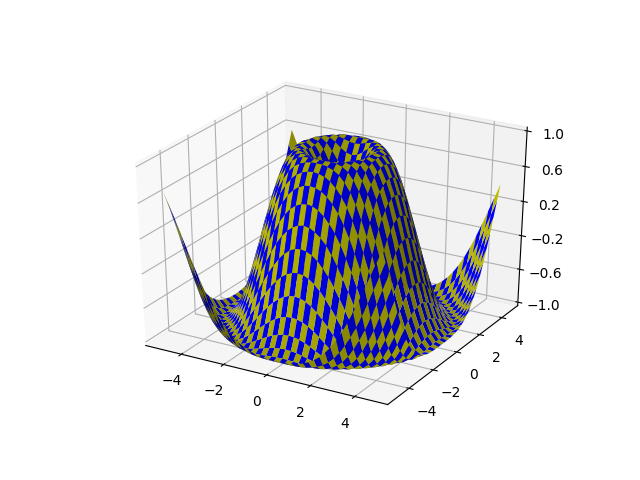 Demonstrates plotting a 3D surface colored in a checkerboard pattern. # populate it with two colors in a checkerboard pattern. # Plot the surface with face colors taken from the array we made. # Customize the z axis.